2014 release. 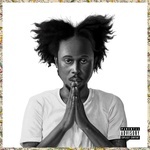 After a string of hit singles, Popcaan releases his debut album, Where We Come From, on Mixpak. The release, which hit #2 on the Billboard Reggae chart, was praised as "one of the best pop albums of the year" by Pitchfork and hailed as the strongest dancehall LP of the 2010s by many. As suited to start-to- finish headphone listening as it is to club play, Where We Come From is an album-length artistic statement in a genre where singles rule supreme.